On 8 February 1840 Englishman George Hunter and his family landed on the beach at Petone to start a new life in New Zealand. 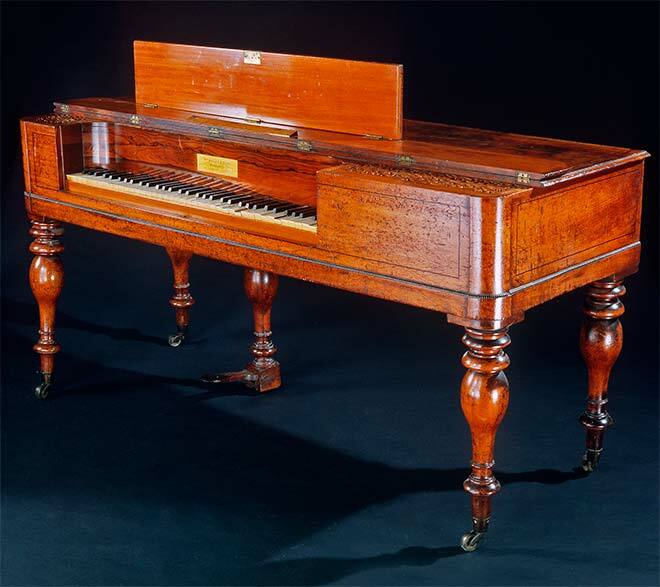 The well-to-do Hunters brought many of their possessions with them, including a square piano made around 1825. It is likely that this was the first piano to arrive in New Zealand. It was donated to the National Museum by a Hunter family descendant in 1956.